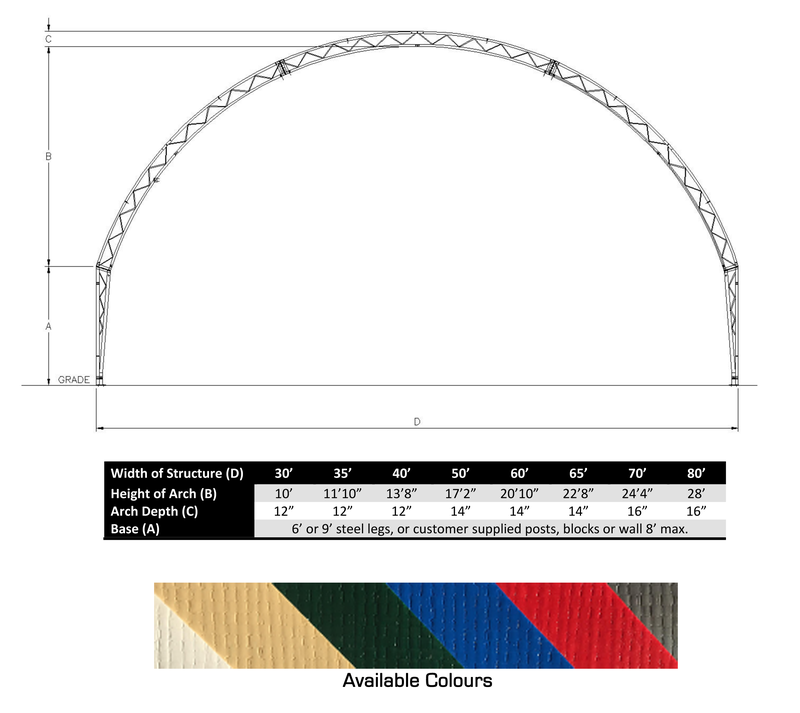 Tasco Dome is a world-class leader in fabric covered buildings. These robust steel buildings are made to stand up to the toughest elements, no matter what industry or use. For animal housing, equestrian riding arenas, materials storage, warehousing, protecting valuable equipment, expanding your company's workspace and more, the applications for Tasco Dome fabric covered buildings are truly limitless. •A professional and knowledgeable network of Tasco Dome approved dealers that will be with you every step of the way, from providing a free quote, to design and installation. A Tasco Dome structure can be installed in many different ways, depending upon soil type, proximity of bedrock, municipal bylaws, budget and personal preference. Discuss your options with an Authorized Tasco Dome Dealer, or contact us directly. Below are some of the most popular foundation types, not all can be used in every area or for every building size, contact us for more information.